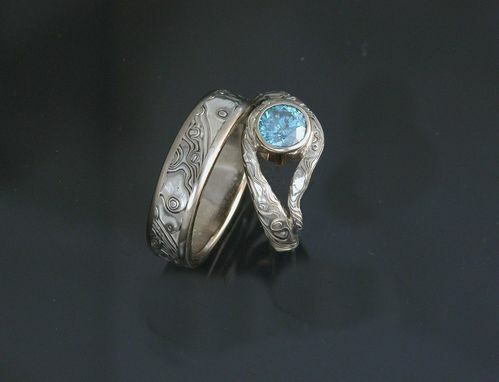 Diamond Custom Mokume Gane Wedding Set. Metals are 14k White Gold layered with Etched Sterling Silver with White Gold inside. 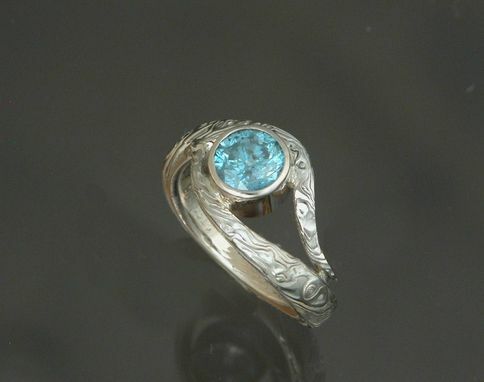 Stone is a 1ct Blue Diamond. Bring your design ideas to life! !